This satisfying meal is so easy to whip up, it’s bound to be a regular favourite at the dinner table. 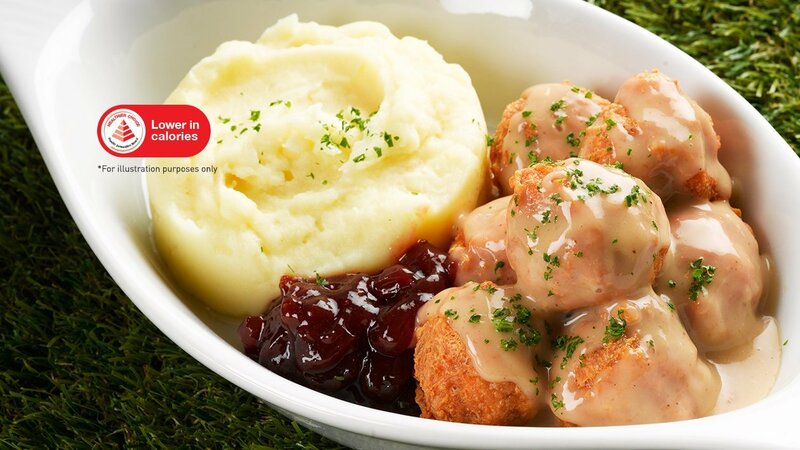 Don’t wait to try this dish of savoury meatballs topped with a creamy sauce and served with perfect mash. Mix all ingredients, shape them into balls (20g each) and sear until brown. Bake in oven at 170°C for 5 minutes. Sweat onion and garlic with olive oil till brown. Add water and Knorr Chicken Gravy Mix and bring to boil. Fold in cream and ready to serve. Heat up water, milk, salt and Planta Margarine in pot. Do not boil. Once temperature reaches 85°C, slowly stir in Knorr Mashed Potato. Mix well till smooth texture is formed. Season with pepper if required. Ready to serve.